"My number one priority continues to be the security of the United States, but also the security of Israel"
what about the security of the central bank of china that OWNS the US??? The military build-up and economic sanctions against Iran are designed to unleash a global war from the Mediterranean to China with unpredictable consequences, warns Michel Chossudovsky, Director of the Centre for Research on Globalization. Tensions between Iran and the West are close to crisis level. With massive help from the western media, Iran has firmly become embedded as the root of all evil in the minds of many westerners. The United States has tried to force Tehran to scrap sensitive nuclear work by imposing sanctions targeting Iran's central bank and giving U.S. banks new powers to freeze Iranian government assets. Iran's ambassador to Moscow said that the United States would be making a serious mistake, akin to suicide, if it risked a military strike on OPEC's No. 2 oil exporter. (AP) TEHRAN, Iran — Iran's official news agency reported Thursday that the navy has added two more domestically built light submarines to its fleet. The move is seen as part of Iran's effort to upgrade its defense capabilities amid escalating tension with the West over its nuclear program. Tehran has threatened to close the strategic Strait of Hormuz, a major oil shipping route, over new U.S. sanctions targeting its critical oil industry. The report by IRNA quoted Iran's navy chief Adm. Habibollah Sayyari as saying the Ghadir class submarines meet the needs of navy. In November, Iran said it added three more Ghadir class submarines to its naval fleet. This class of submarine can fire missiles and torpedoes and operate in the Gulf's shallow waters. Iran is believed to have about 12 light and three Russian-made submarines in its fleet, but it does not disclose the total numbers. Well they are being squeezed so to speak....can you blame them? This play just gets lamer by the minute. I mean India ffs. Really? Funny how it appears the M.O fits exactly to that of the recent assassination of an Iranian Nuclear Scientist? Can't have all drama without a laugh inbetween. Sorry, the page you were looking for in the blog The Vineyard of the Saker does not exist. You needed to click through on "The Vineyard of the Saker"
Thanks Phillip....duh...yes, I got to it. "The US aircraft carrier Abraham Lincoln has sailed through the Strait of Hormuz, close to the coast of Iran, for the second time in recent weeks. A BBC reporter on board said an Iranian patrol boat at one point passed by two miles (3.2km) from the carrier. The carrier was accompanied by a US cruiser and destroyer. Iranian officials recently threatened to close the channel, through which 20% of the world's oil exports pass, in a row over oil trade embargoes. The BBC's Jonathan Beale on board the Abraham Lincoln says the US has insisted it will keep the busy shipping lane open." "CBS/AP) UNITED NATIONS - The U.N. General Assembly has approved a resolution backing an Arab League plan that calls for Syria President Bashar Assad to step down and strongly condemns human rights violations by his regime. The vote in the 193-member world body was 137-12 with 17 abstentions. Russia and China, who vetoed a similar resolution in the Security Council, voted against the resolution. "Russia remains determined to support their ally, Assad, in the conflict, and Russian officials have muddied the perception of the opposition by alleging they are all terrorists, when the rebels include mainly legitimate democratic opponents," said CBS News Foreign Affairs Analyst Pamela Falk, "but the opposition also has the backing of terrorist groups, such as al Qaeda." "The Britain-based Syrian Observatory for Human Rights said security forces killed at least one civilian in Daraa, and that clashes between defectors and government troops there left at least three regime soldiers dead." "An Iranian man blew off his legs with grenades and wounded four civilians Tuesday in Bangkok, the Associated Press reported. The man was identified as Saeid Moradi from Iran by a passport found at the scene. CBS and the AP reported that an Israeli Cabinet minister said his country will “settle the score” with the perpetrators of the bombing." Israel has blamed Iran for this blast, as well as the Monday bombing of an Israeli diplomatic car in India. Tensions are high over Iran’s nuclear program. Israel doesn’t believe Iran’s claims that it’s not pursuing nuclear weapons. 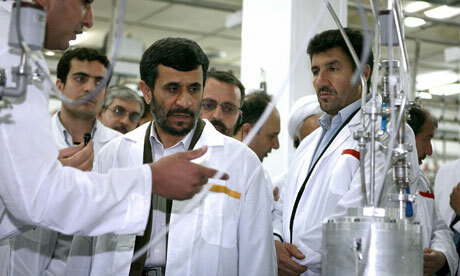 Iran has blamed Israel for a series of assassinations of nuclear scientists. Lol, I love how all these terrorists have the foresight to carry their passports around, for ease of identification should their dastardly plot be foiled :P Wonder if these guys also had them all fandangled fire/explosion proof documents in case the all too common AxisofEvilTwoleftfooted syndrome should occur..
Who writes this crap? Surely someone from the Fox network. gotta love it...no??? and note how Israel supposedly doesn't say it was Iran, yet they do?? They really think the world is that stupid by believing a "plausible and acceptable" (false) event? Is Israel gearing up for an attack on Iran? "Israel’s motivations for a potential strike on Iran’s nuclear facilities are obvious; but could there be additional strategic factors at play." "With Iran flaunting its nuclear progress, allegedly attacking Israeli diplomats and reportedly strengthening ties with Al Qaeda, the possibility that Israel has finally had enough is not exactly far-fetched. This will no doubt prove the ultimate factor in Israel’s decision to attack; yet the wider regional context may also present Israel with compelling strategic incentives to act sooner rather than later." "Assad’s potential impending collapse has placed Iran at its weakest point since the 2009 Green Revolution, as Syria served as Iran’s bridge to a suspicious Sunni Arab world and an entree into the power politics of the Israel-Palestinian dispute." "How do these developments herald an escalation between Israel and Iran? "Yet Israel may also judge the current regional dynamics as presenting the most propitious opportunity to strike Iran’s nuclear facilities." 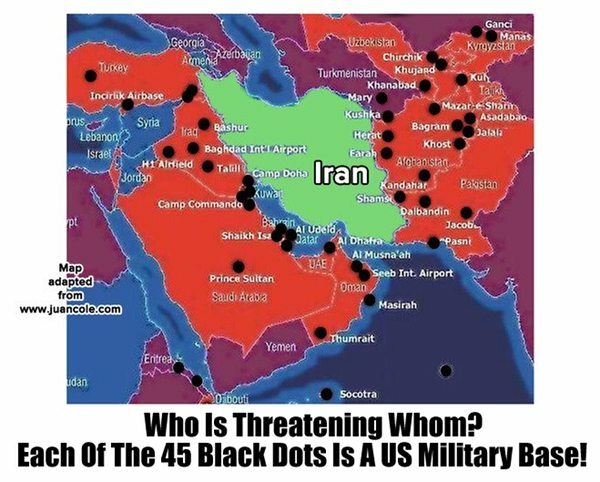 "An imminent attack on Iran would also come at a time of escalating tensions between Saudi Arabia and Iran; a country known to be covertly sympathetic to an Israeli strike on its regional rival." And off-course it's FOX-news to give the world a nice mood swing towards resentment and indignation. They're really steering towards that confrontation, that's for sure. "Officials in key parts of the Obama administration are increasingly convinced that sanctions will not deter Tehran from pursuing its nuclear programme, and believe that the US will be left with no option but to launch an attack on Iran or watch Israel do so. The president has made clear in public, and in private to Israel, that he is determined to give sufficient time for recent measures, such as the financial blockade and the looming European oil embargo, to bite deeper into Iran's already battered economy before retreating from its principal strategy to pressure Tehran." Someone has to convince me that there is a "PROBLEM" we have heard all these statements before and we have even invaded a country that had WEAPONS OF MASS DESTRUCTION .... and then we couldn't find them....... but we had our war and got to use all our special toys etc for WHAT? Apart from all this WHO IS GOING TO PAY FOR WAR? the world economies are BROKE and war will only collapse the entire world system instead of the Euro / western cancer within our monitory system..
SAY NO TO PAYING FOR WAR..... stop spending what little money you have on anything except what you need .....don't feed the agitators. On the ABC radio news in OZ (Sat. night), in Syria, Amnesty interviewd a man who had been tortured by the authorities - "They had tied a piece of Dynamite to his hand, detonated it and blew a couple of his fingers off"
Ha Ha Ha - that would have blown him apart - just the detonator to set the dynamite off will take your hand off..